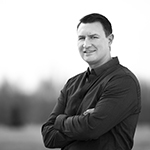 Sean has been with Duker-Reilly-McPherson and Associates since October of 2000. As an outside salesperson, Sean primarily handles the Southeast Michigan territory. While in the office he wears many hats that include technical support, sales, problem solving, IT, marketing, and many others. Sean began his education at Macomb Community College and then earned his Bachelor of Science in Business from Ferris State University. Sean resides in Chesterfield Michigan with his wife and their three dogs. He enjoys a variety of activities including boating (by power or sail), wakeboarding, tennis, home improvement, gardening and softball. He also enjoys culturally enriching activities such as independent cinema, art exhibitions, concerts and plays. 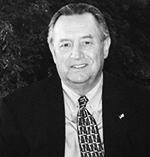 Ray joined Bob Duker and Jack Reilly in 1986 after 12 years as Vice President of Sales with the O.L. Johnson Co. in Detroit, MI . After being promoted to V.P. of Sales he created the heating and air conditioning department at O.L. Johnson, selling many of the products that Duker-Reilly-McPherson & Assoc. sells today. Prior to joining O.L. Johnson, Ray attended Western Michigan University, University of Detroit and the Detroit College of Business; he also served two years in the U.S. Army, with a one-year deployment to Vietnam serving with the 1st Air Cavalry Division attaining the rank of Sergeant. Ray was the founding treasurer and past president of the Construction Federal Credit Union, a former Director of the Detroit Yacht Club and is a past president of the St. Clair Golf Club, where he and his wife Sandy now reside. Ray has been a member of the Construction Association of MI, Manufacturer’s Agents National Association, Air Conditioning Contractors Association, and the National Electrical Manufacturers Association for many years. Nancy Castle started with us in July of 1987 with several years’ customer service experience in various industries. The product knowledge she’s gained over the years with Duker-Reilly-McPherson has enhanced the service we strive to provide our customers on a daily basis. Nancy is responsible for product quotes, submittals, order entry and follow-up, and acts as the conduit between our customers and our principals. Her interests include gardening, bowling, travelling, and British cars. She’s been married for over 30 years to Malcolm and together they have an adult daughter. 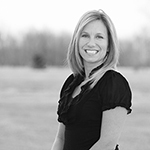 Patrice has been with Duker- Reilly -McPherson & Associates, Inc. since November 2010. Her prior work experience includes being an interior designer, contractor sales, and customer service for one of the ‘big’ box corporations. She handles inside sales and administrative duties including, but not limited to, inside sales (quoting, application engineering, product selection assistance), customer service, shipping / receiving and accounts payables / receivables. 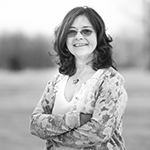 Patrice enjoys spending time with her family and friends in beautiful Algonac, Michigan. In her spare time she enjoys gardening, studying Holistic Health, outdoor activities, attending professional sports games, concerts and traveling. 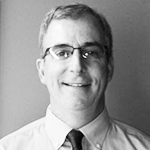 Kevin joined our team in April of 2014 as our northwest sales representative. While he is new to our company, he brings over 25 years of experience in professional sales, distribution, training and management. This Central Michigan University graduate currently resides in Lake City, Michigan. He enjoys boating, golfing, traveling and spending time with his family. 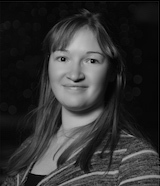 A proud member of the Duker-Reilly-McPherson team since April 2016, Samantha brings several years of work experience in customer service, bookkeeping and management to the company. She is a Walsh College graduate with a degree in Business Management and aims to place our clients first, providing knowledgeable and efficient service, while handling various aspects of sales, recordkeeping and other administrative duties. In her free time, Sam enjoys kayaking, tennis and snowmobiling. She is also an accomplished equestrian who enjoys riding, training and caring for her horse at the neighborhood barn.